Pedro is another SHINING success story! 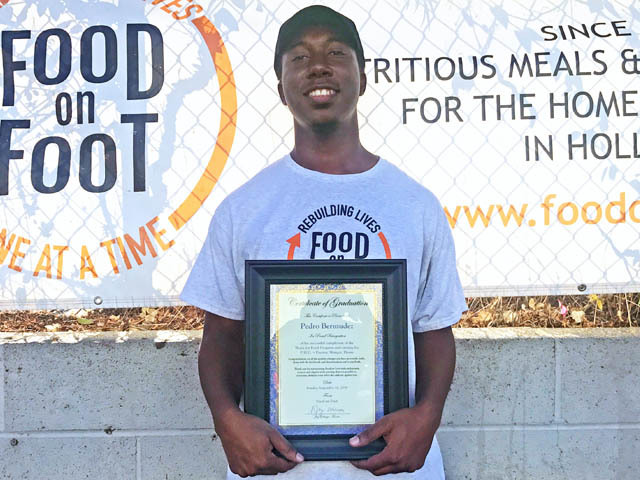 With your help, Pedro was able to graduate Food on Foot’s Work for Food program on September 16th, 2018. He is now off the streets, living in his own apartment, and is working full-time at The Wash on Western!